Desi Smith/Staff Photo. 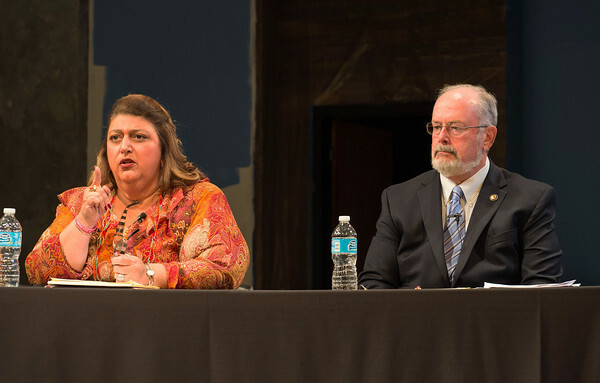 Mayoral candidates, Interm Mayor Sefatia Romeo Theken and Paul McGeary go head-to-head in their first debate since preliminary election, Monday night at the Gloucester Stage Company. The debate was entirely on the arts and cultural issues. October 5,2015.